This unit has 2 full size beds and a newly renovated, decorated with white color based will give you a full of cleanliness and elegant atmosphere. You feel at home while on vacation in paradise. This unit is named as Bird of Paradise, by Japanese Interior Designer. 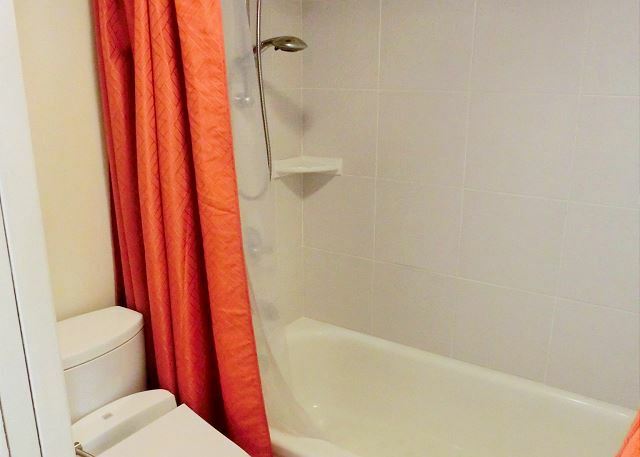 In the bathroom a washlet was installed which caters to international guests. 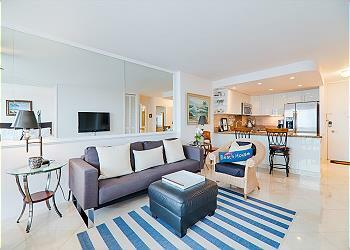 The charming living room receives an ocean breeze from Lanai which overlooks Waikiki city view. 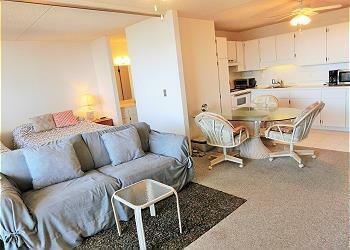 Included with your rental are free local calls, and WiFi Internet, basic cable TV, one free covered parking. 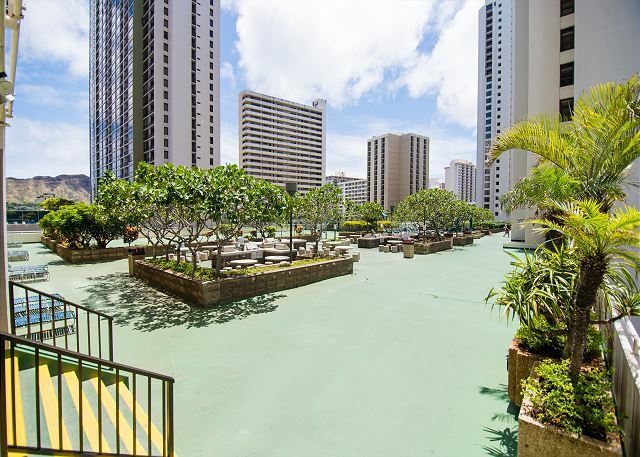 Waikiki Banyan offers tons of amenities, such as coffee shop, convenience store, on 6th floor recreation deck with pool, 2 hot tubs, sauna, showers, sports court, a children's playground, propane BBQ grills and picnic area, poolside lunch/snack bar. 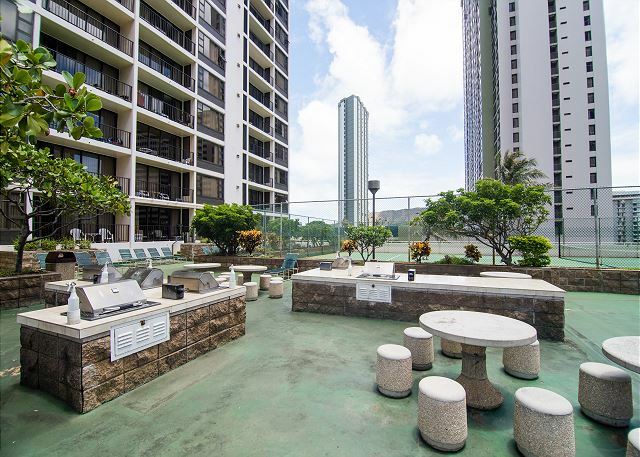 Conveniently located between Diamond Head and Waikiki's main shopping district, just a short walk into area for dinning and shopping, entertainment. 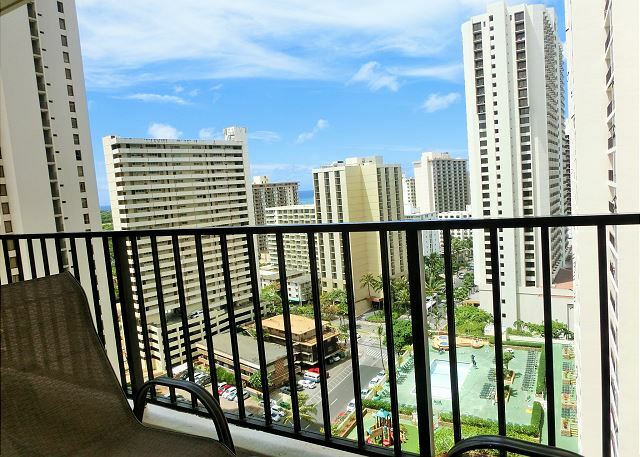 Would famous Waikiki Beach is just short walk away. 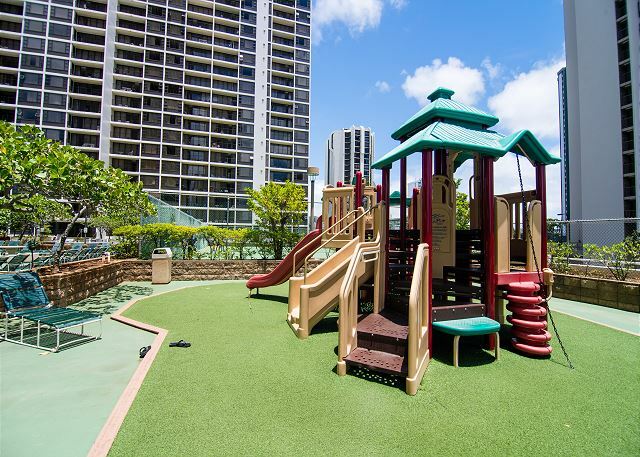 You’ll also be close to Kapiolani Park, Honolulu Zoo and the Waikiki Aquarium for family fun. Note: Currently, Waikiki Banyan is conducting Spall (concrete) Repair and Waterproofing on the parking and recreation wall by the end of this year. You may experience constriction noise and vibration during your stay. Please ask if you have any question. Very comfortable unit. Staff very helpful. This is the second year we have stayed in this unit for 2 months in Jan/ feb. The unit is very homey and well set up, a pleasure to stay in. The realty company is very accommodating and took care of any little issue in good time. Somewhat clean. I would like to see the carpet removed as it was very dirty. Please fix: the flushing handle on the toilet, the hot water faucet leak , the sliding door needs lubricating and the ceiling fan is broken. Also the suite has too many pillows. There were pillows everywhere. Very disappointed in the lack of essentials like: beach chairs, boogie boards, salt & pepper, spices, etc. We would have left our essentials but felt you would throw them away so we left them with other suites. Great location, this unit has lovely bedding & towels. We went to the Zoo, the Palace, and went to the swap meet at the stadium. We ate at the food trucks on Kuhio, Duke’s,California Pizza Kitchen, Wolfgang Puck, the Willows ( est 1944) all good. The Property is an easy walk to the beach and the pool & BBQ area in the facility is large with lots of seating. Derek was extremely helpful to us before & during our stay. Overall the place was reasonably priced, location was great - near the beach, bars, restaurants, public transportation, tour pick ups. I would highly recommend black out curtains in the bedroom as it gets really bright in the room early in the mornings. The place isnt ideal if you want to cook in, cooking appliances is limited. The house sleeps 2 comfortably. 4 is a crowd unless you dont mind the sofa bed. During our stay we had someone from Myland enter our room to clean. It just so happened we were at home that day. They were there to clean thinking we had already vacated the place but we had only bid there the first half of our trip. That left us a little uneasy and we locked up our stuff everytime we left the room. limited toiletries supplied. You'll have to stock up on toilet papers, plastic bags, paper towels. That was annoying as the ABC's in the vicinity do not sell toilet rolls - we had to go on a hunt. Having said that, the place is cheaper in comparison and i would stay here again because of cost, cleanliness and distance to everything else. The room is nice to stay. There are many kinds of goods prepared like kitchen goods, cleaning goods ie. vacuum, body board, Floating for swimming, enough towels, sizer, nail skipper, and so on. Location is very convenient. 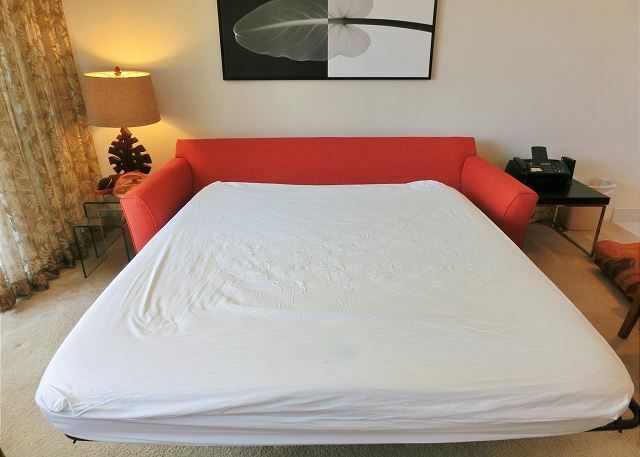 Two blocks away to beach, one or half block away to bus stops and ABC store, few blocks to Food Pantry, and International National Market Place. Elevator was not good working a few times. We had to wait for 15 mins, but I’ve learned to push both up and down bottom when going down from 20th floor. Totally we’re satisfied and enjoyed staying. 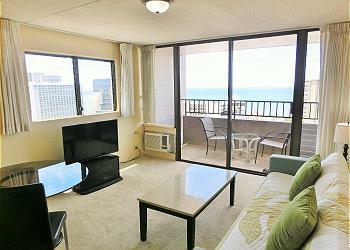 The apartment was in a great location in Waikiki, close to the beach, shops and restaurants. It was clean, with all you need in the kitchen. The property management company was professional and replied to all my inquiries in a timely fashion. They accommodated my request for a late check-out at a half-day cost, which was convenient having a 9pm flight back home. This rental is very good, clean and well appointed. 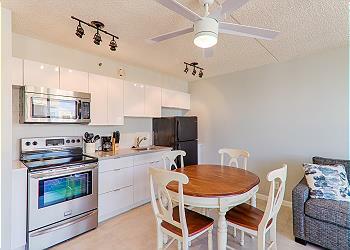 The location is very good as well, close to beaches, amenities and bus routes. We had nothing to do but enjoyed many lovely landscape and chatting with our acquaintance. 5-7 minute walk to the Waikiki beach was very convenient. The pool and the bbq that was within the condo premise was very very convenient for a family with 3 kids. The only problems we had is there should have been a bar on the wall of the tub to hold onto. otherwise if people slip they will grab the towel bar. While I was vacuuming I noticed the carpet should be cleaned. 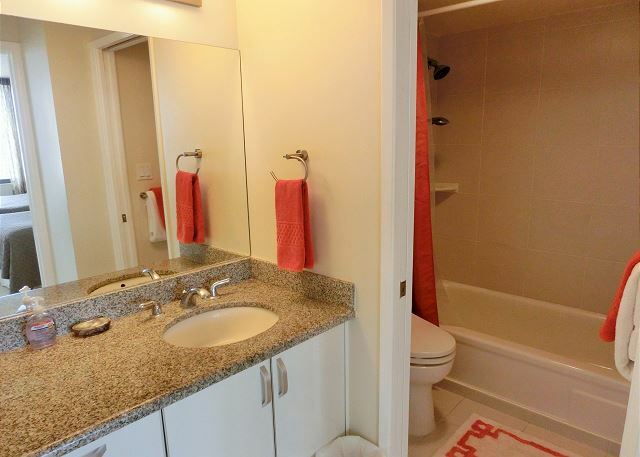 Better yet the whole place would do better with tile throughout the whole condo.New cupboards are beautiful and so tidy inside.Another problem we encountered is the double beds were too short so my husband had to sleep corner wise. A queen would have been perfect. I heard that this room is for maximum 4 people but there is no sofa bed, so it is not for more than 2 people. A pillow smells bad of sweat. This was the perfect place for my stay! It was a great location, a secure building, and good space. I really liked having two beds and a kitchen so that I had to choice to dine in or out. I would stay here again. · Check-in after 3pm (15:00) · Check out is 10am (10:00) · The latest arrival time we can accommodate is 5:00 pm. 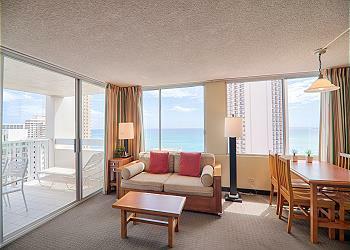 This unit is located in 23rd floor and cornered, you will enjoy the gorgeous ocean view. Absolutely ocean front and view of yacht harbor from the unit.